New York City may be known as the city that never sleeps, but unfortunately humans do not have that luxury. Since you can’t spend 96 hours straight taking in all the incredible sights, sounds and tastes of the Big Apple, it can be a challenge to decide which slice of the city to experience first. To help you out, I talked to Lauren H., a marketing executive at Marriott Vacation Club PulseSM, New York City. She’s lived in the City for seven years and loves its energy and variety. This Lidia Bastianich restaurant on Restaurant Row is Lauren’s go-to choice for a pre- or post-theater meal —particularly the $24.95 unlimited tableside service of three fresh pastas. “This changes every day, but is always to die for,” Lauren gushed. “Whenever I go, my date or I order this, then we order one entrée and share everything. It’s perfect.” But make reservations early — the restaurant fills up fast. Drink a dirty martini while listening to live music at this lively watering hole in the Theatre District. All the bartenders and servers have theater credits, and after 9 p.m. they take turns singing with keyboard accompaniment — plus there’s an open mic for audience members who want to join in the fun. “I have a blast whenever I go,” Lauren told me. Don’t miss weekend brunch at this 1920s’-themed eatery in the Garment District, which offers bloody Mary and mimosa boards that help you customize your brunch drink of choice. And the food’s delicious, too — Lauren suggests tucking into some cheddar bacon grits or caramelized apple French toast. 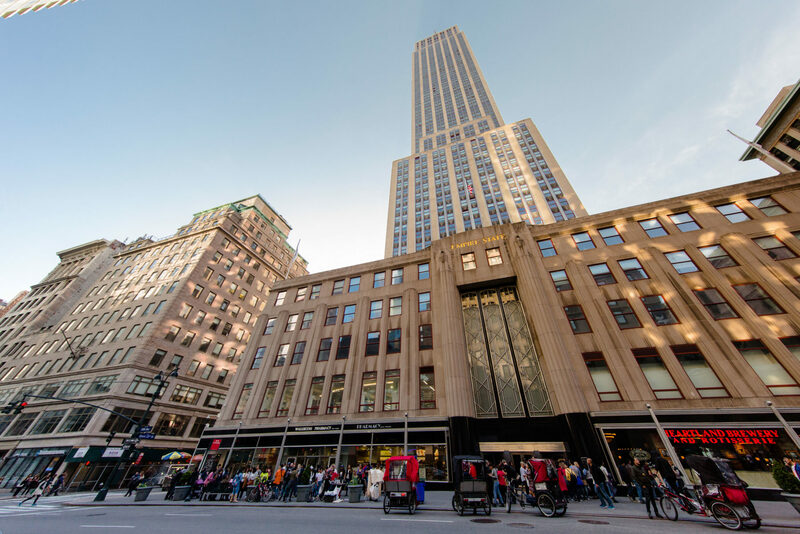 To soak up the skyline, ascend to the open-air observatory on the 86th floor of the iconic Empire State Building, or board a manual elevator up to the indoor top deck on the 102nd floor. If you’re seeking a vista that includes the Empire State Building, head to the Top of the Rock at the Rockefeller Center. For great views of Central Park (and fun photo ops), visit Belvedere Castle. Wherever you go, get your tickets online in advance. 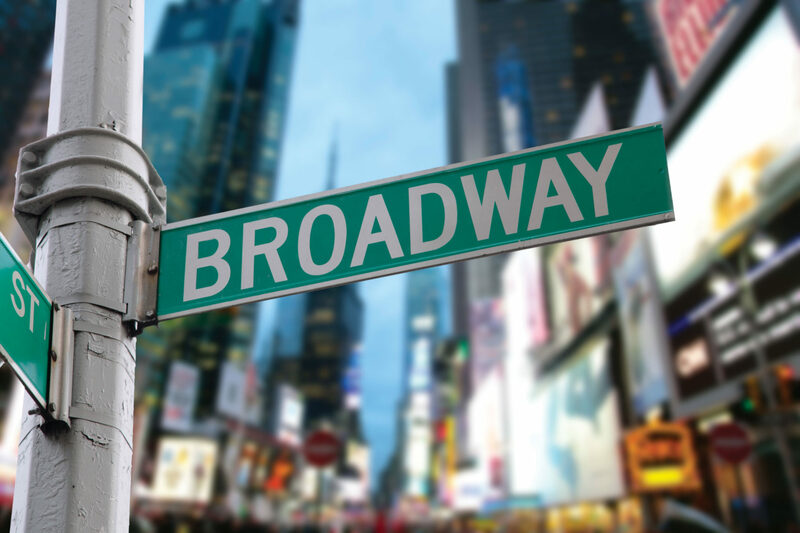 You could spend four days in New York City simple exploring its fascinating museums — from the renowned Metropolitan Museum of Art, to the Guggenheim Museum designed by Frank Lloyd Wright, to the quirky Museum of Modern Art. Plus, many of the museums are located adjacent to Central Park, giving you the perfect excuse to go for a stroll. Lauren’s insider tip: Check if your museum of choice has free or suggested donation hours. After delving into arts and culture, savor a meal at Grand Central Station’s oldest restaurant. This beloved seafood spot boasts an award-winning wine list, up to 30 types of oysters and 25 types of fish, and an old-school New York feel. Along with the fresh oysters, Lauren’s favorite dishes are the branzino with bacon gorgonzola butter and the pan-seared salmon with lemon wine sauce. Lauren likes to take family and friends to breakfast or brunch at the NoMad location of this local American Brasserie chain, citing its consistently good food and service. “I love the vibe here,” she said. “It’s lively and fun but classy at the same time.” The menu includes unique options like breakfast pot pie and monkey bread with toffee glaze. 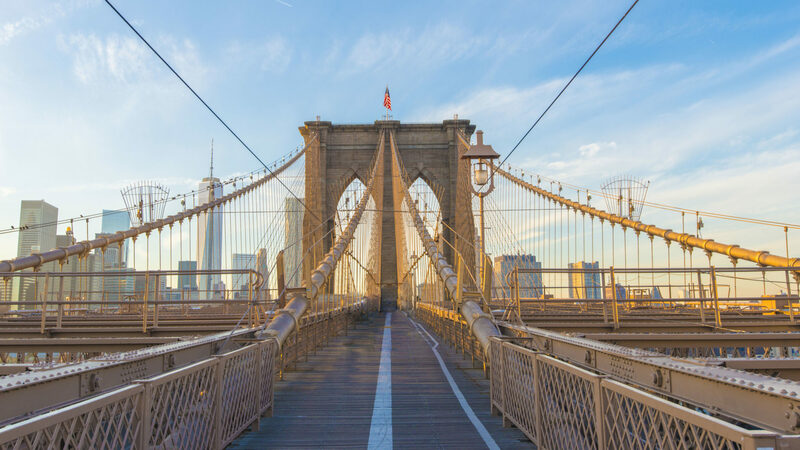 Wander along the Brooklyn Bridge for a scenic vantage point of the city. You can enter the bridge near City Hall and spend an hour or so walking across (but don’t forget to take layers, it might get chilly!). Once you reach the other side and the hip Dumbo neighborhood, why not chow down on famous Brooklyn pizza for dinner – plus you’ll find plenty of boutiques and parks to explore. Back in Manhattan, round out the day in the Meatpacking District with a cocktail at this penthouse lounge atop the swanky Standard Hotel. Dress to impress and enjoy creative cocktails in an elegant atmosphere with spectacular views and live jazz. It’s such a trendy place that you’ll want to make a reservation — and be prepared to wait in line to get in. 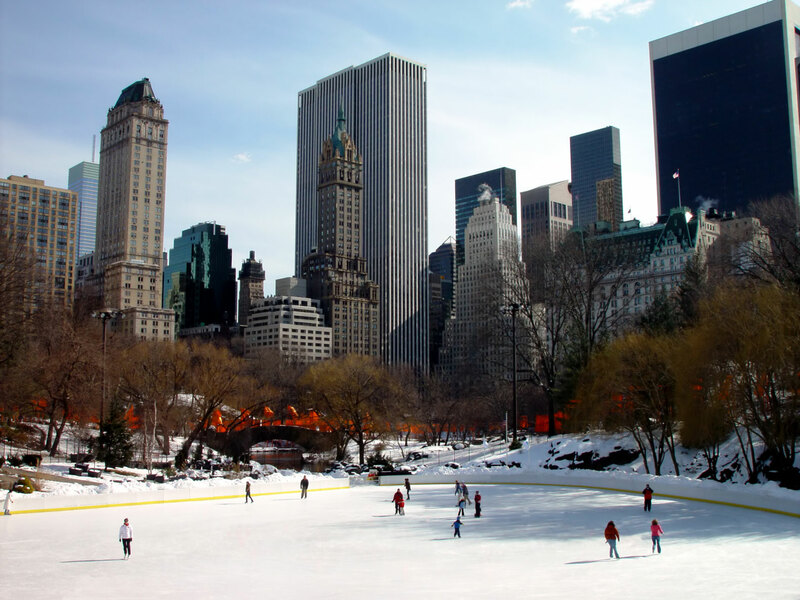 Ice skating in New York is quintessential winter fun and an unforgettable experience. 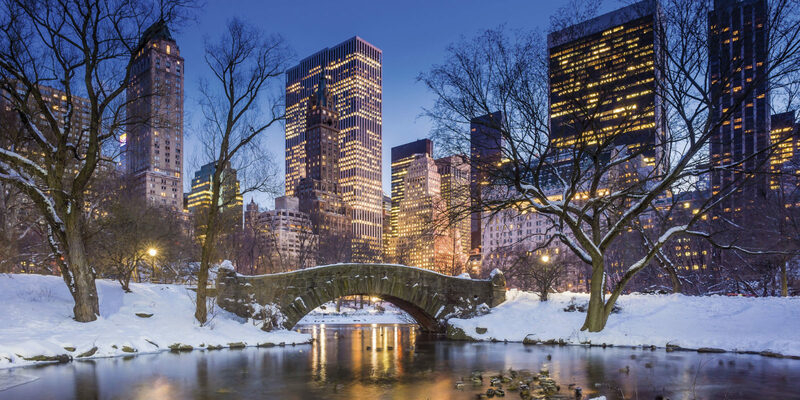 The Central Park rink is surrounded by trees and skyline views, the Brookfield Place rink is on the waterfront, and the Bryant Park and Rockefeller Center rinks are accompanied by pop-up shops and food vendors. “All these locations are unique because they’re outdoors and allow you to take in wonderful views of the city,” Lauren told me. Finish your fun-filled city getaway at this charming, homey Russian restaurant in the Flatiron District. At the top of Lauren’s list are the veal pelmeni (handmade dumplings), potato vereniki and blinis with caviar. The restaurant also serves up various flavors of house-made infused vodkas, as well as a fantastic Sunday brunch. If you enjoyed this article, check out our 4-day expert itineraries for South Beach, San Diego and Washington, D.C.
Bethany is a senior copywriter for Marriott Vacation Club International in Orlando, Florida.